Monica Juneja, DDS, inherited her passion for healing at a young age as she comes from a family of doctors, and brings a compassionate, personalized touch to her work as a board-certified endodontist at Lakeside Endodontics in Succasunna and Parsippany, New Jersey. After completing her studies at Govt. Dental College & Hospital, Patiala, in India, Dr. Juneja pursued her dream of a career in medicine at the Columbia University College of Dental Medicine in New York City. 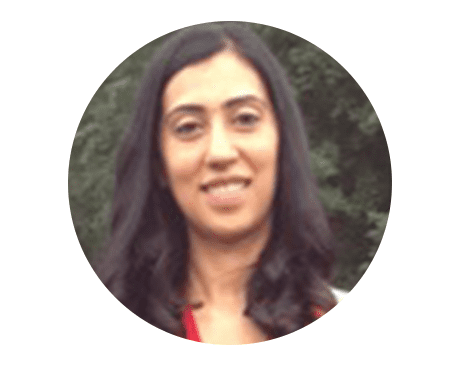 Always ready for a challenge, Dr. Juneja was drawn to endodontics because of the extreme precision and skill it demands, and she completed her specialized endodontic residency training at Columbia University as well. Now at Lakeside Endodontics, Dr. Juneja is committed to providing her patients with the best environment possible for dental care. Everything she does is guided by the principle that all patients deserve to have their questions answered completely and concerns addressed fully in a compassionate, calming environment. When she’s not keeping her patients smiling, Dr. Juneja loves spending time with her two young sons and baby daughter.